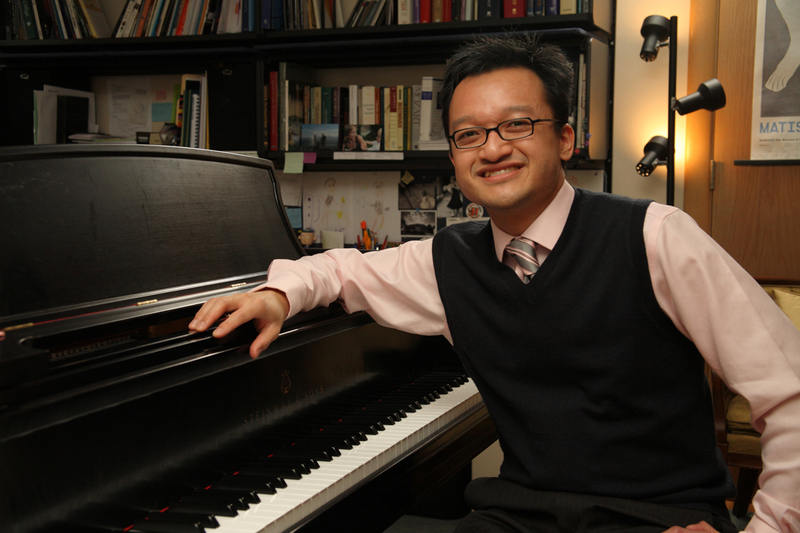 When Dr. Andrew Le says he spent his fall 2018 sabbatical “learning” a series of piano pieces, what he really means is that he memorized them. So, what music did he learn (read: memorize), exactly? Well, there’s Book 1 of Claude Debussy’s Préludes, which he learned — from the opening notes to the end of the score some 50 minutes later — and performed in Madrid. And then slightly embarrassed that he had played only French music while in Spain and wanting to remedy the faux pas, he learned a piano suite, Goyescas, by Spanish composer Enrique Granados. Plus, he learned works by Eddie Mora and the Piano Concerto in G major by Maurice Ravel. All told, Le memorized more than 80 minutes of music, some of which he says are among the most technically difficult pieces for the piano. 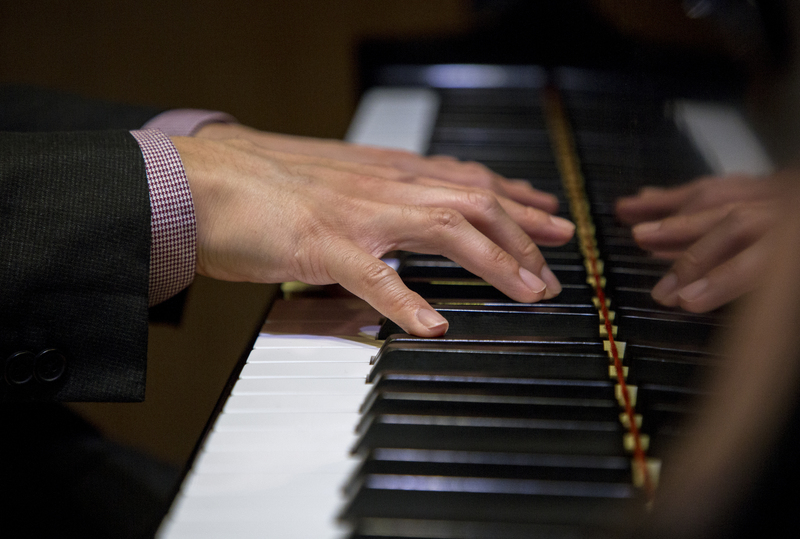 Two in particular — the pieces by Granados and Ravel — he called “disorienting” for a pianist. Granados’ Goyescas, Le said, “turned out to be one of the most difficult things I’ve ever played in my life. It’s really thick — the textures are thick, and it almost sounds at times that it’s meant to be played with three or four hands, not just two. To transcend the technical difficulties to make it sound easy was quite the challenge. Plus, at 22 minutes long, the piece stretches the performer’s focus and endurance. In addition to his chamber and solo performances in Madrid, Le also performed in Arlington, Texas, and Grand Rapids, Michigan. But he says the most nerve-wracking of his performances was one he gave after his sabbatical, right here at Hope College, on January 12, 2019. Performing in front of his students, colleagues and administrators — the people who look up to him and rely on him — makes him more nervous than other performances. They’re also the most special: “I get to play in a place I love for people I love, and in a place where I’m comfortable being myself and being one with Christ by way of performing on stage,” he said. One element of the January 12 performance made it particularly impactful. While introducing his pieces, Le felt spontaneously compelled to dedicate his performance of Ravel in memory of Jonathan Hagood. Hagood died on September 18, 2018; at the time, he was serving as chair of the music department. 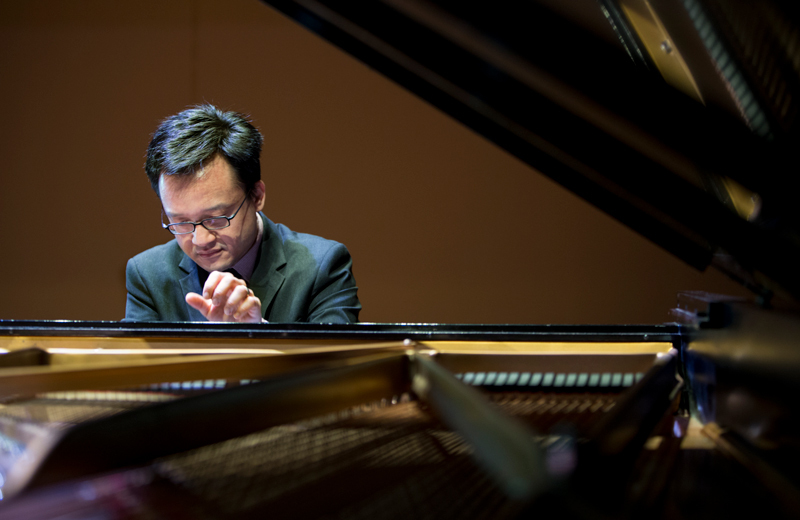 In addition to his performances, Le also recorded and released an album of Debussy’s complete Etudes for solo piano, timed to commemorate the 100th anniversary of the composer’s death. In the end, Le says the entire sabbatical is “a gift that I don’t take for granted.” Not only does he have the chance to learn and perform at an unusually productive level, but it refreshes and rejuvenates him for the daily work that he loves so much.